With 25 years of service in the Royal Navy under his belt, Captain Tim Green is well versed in the changing world of the underwater battlespace. Defence Connect spoke with Captain Green about the evolution of anti-submarine warfare (ASW), the build up of the UK Navy's capabilities and the nation's strategic relationship with Australia. While defending against stealthy submarines has been the focus for many years, Captain Tim Green of Navy Command Headquarters said the challenges go far beyond that now. "In my 25 years of service in the Royal Navy in uniform and now as a captain in Navy Command Headquarters, this is probably one of the most exciting times I've seen in what we call now the underwater battlespace," he told the Defence Connect Podcast. "We talk a lot about ASW, and that is still a NATO phrase that we use, anti-submarine warfare. But I think it's bigger than just submarines now. It's the whole sphere underneath the sea surface. "So we call it the underwater battlespace because it's not just about the traditional manned submarines, it's about remote vehicles and it's about protecting some of the critical national infrastructure. Not just defence assets, but commercial assets, too, along the seabed. And I can go into a little bit more detail about those later on, but I think it's becoming more of a congested area. There are many actors, both nation-states and non-nation-state actors and commercial actors in this underwater battlespace." But understanding the underwater battlespace is no easy task and presents its own unique challenges in the different regions. “Fighting in the underwater battlespace … it's really, really complex. No two days in anti-submarine warfare or the underwater battlespace are the same just looking at the environment,” Capt Green said. And while having the right people and undertaking the right training is crucial, technology is just as important in the underwater battlespace. “So first and foremost, there's no paint by numbers in the underwater battlespace. It's a real art as well as a science,” Capt Green said. “So it's very dynamic and no two days are the same so you absolutely need the best equipment. And technology has come on leaps and bounds, particularly in recent years, and staying ahead of that technological game is really, really important. And gaining more experience in these different regions is top of the agenda for Capt Green, who is looking to develop more exchange posts with the Royal Australian Navy and enhance the co-operation between the so-called Five Eyes intelligence community of the US, Canada, the UK, Australia and New Zealand. “That’s something that ... we're looking to develop with the Royal Australian Navy because what we can do is we can do exchange posts, we already do that,” he explained. The UK is hoping to further enhance its relationship with Five Eyes members through the Type 26 vessel, which is up for selection in Australia’s Future Frigates program and Canada’s Surface Combatant Program. 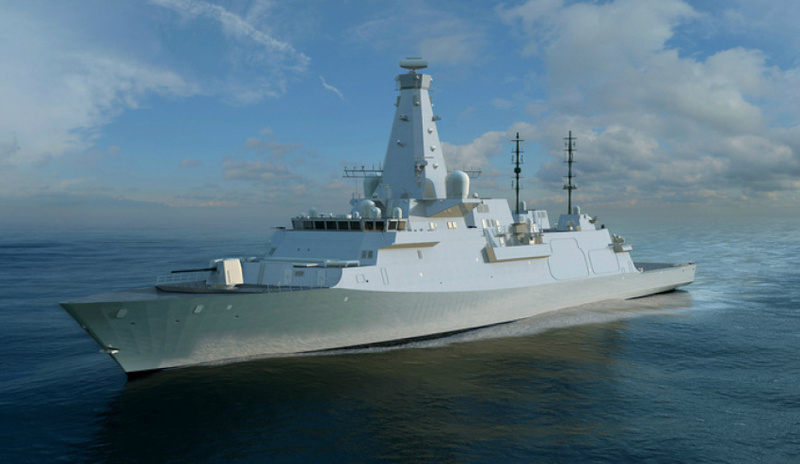 Capt Green told Defence Connect that while the first of the vessels is yet to hit the water, with construction of the first batch for the Royal Navy currently underway, much of the vessel’s technology has come from the UK’s Type 23 frigate and has been upgraded in recent years. “A lot of the technologies that are today on the Type 23 we've upgraded in the 21st century. We've refreshed them from our sonars, from our radars, and some of our weapons systems and we'll move this forward,” he explained. One of the key pieces of technology praised by the RN captain is the noise hygiene, a crucial part of any ASW frigate’s DNA. “The hygiene in the Type 26 is a generation leap ahead of where it was and it was very good in the 23, but it's a generation leap and you've got to get that in at the design phase,” he explained. To hear more from Captain Tim Green tune in to our podcast here.